Van Genderen Heating & Air Conditioning provides the highest quality furnace and air conditioning installation, furnace and air conditioning maintenance, and furnace and air conditioning repair, as well as boiler installation, boiler service and boiler repair to customers in Parker, Colorado. The City of Parker is just around the corner from us. We have several customers in Parker and happy to gain more. We will provide you with excellent HVAC service. At Van Genderen Heating & Air Conditioning we have built our outstanding reputation by providing excellent customer service, product knowledge and experience to our customers. We are a fully licensed and insured Company and have an A rating with the Better Business Bureau. 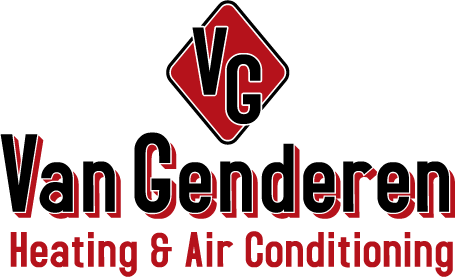 Van Genderen Heating & Air Conditioning offers our Parker customers a wide variety of furnace, air conditioning and boiler products. We are proud to be an American Standard dealer, however we also have access and provide air conditioning and furnace parts and installation on all other brands including; Bryant, Trane, Rheem, Carrier, Lennox, Armstrong, York, Unico, Laars, Mastercool, LG, Burnham, etc. Please call us today at (303) 744-2776 or fill out the form below for more information. We would be happy to talk to you or visit your home to evaluate your needs and provide an estimate for your cooling and heating needs.